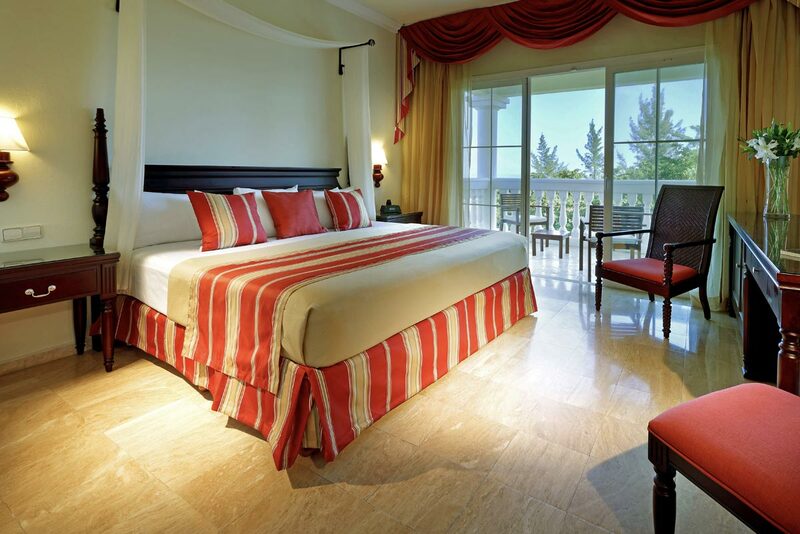 Grand Palladium Jamaica Resort & Spa has a total of 540 rooms that have been built in line with the Palladium Philosophy: low density construction in order to submerge guests into the exotic, natural environment. All rooms feature thoughtful touches like bathrobes and slippers, along with conveniences such as sofa beds and coffee makers. 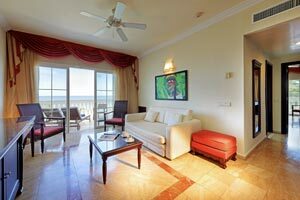 Free WiFi and balconies are standard, as are flat-screen TVs with satellite channels. 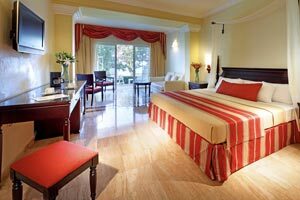 With over 50 square metres of space, this spectacular Junior Suite comes with all the comforts you can imagine. 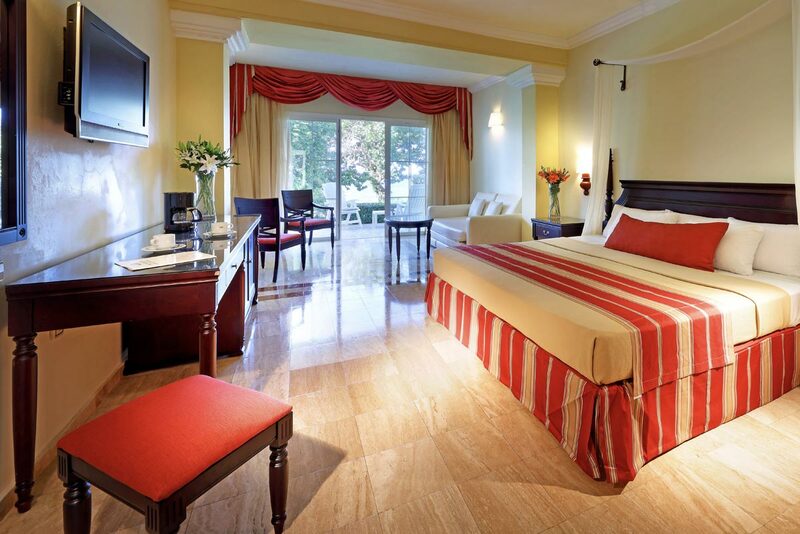 A king size bed, pillow menu, minibar and everything you need for your stay. 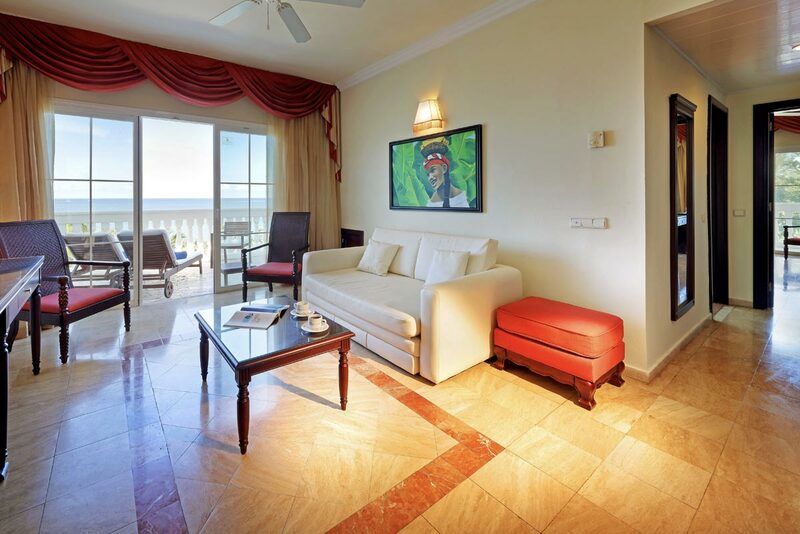 From the spacious living room you can watch your favourite international TV channels or listen to music. 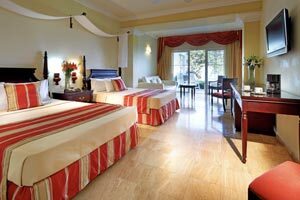 You can also enjoy the fresh air from your terrace or take a bath in the Jacuzzi. 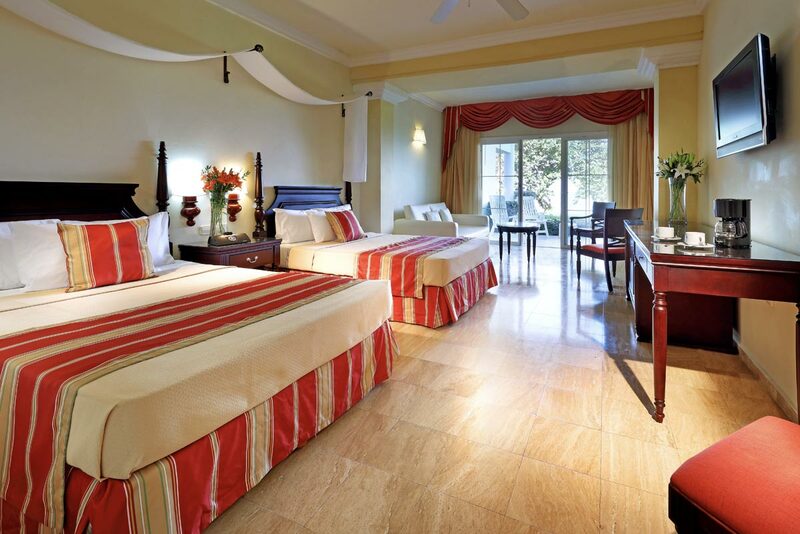 This can be either a Junior Suite + a Suite. 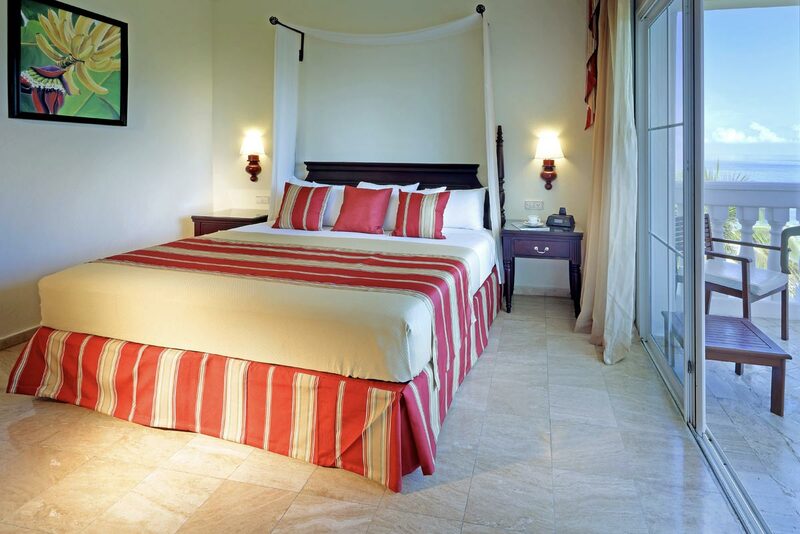 This guestroom is perfect for the entire family! It offers more space along with a combination of bed options that allows the entire family to relax and enjoy their time together in a Junior Suite and a Suite. Parents can also relax knowing everything they need to care for the Little ones is already included. This Family Kit includes everything from nappies to milk and baby food. It is all included!